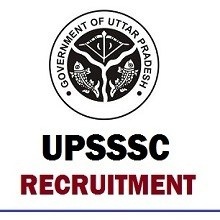 Latest Updated on 30.01.2019 : UPSSC Has Started the Online Application Process for Lower Subordinate Recruitment Notification 2019……… Candidates Can Apply through the link Given below…………..
Uttar Pradesh Subordinate Services Selection Commission Is Conducting Combined Lower Subordinate Services Competitive Examination 2019 for 672 Various Vacancies the eligible candidates for fill up the following vacancies given hereunder. sir advertisement m hindi ki jankari hona jaruri hai iska mtlab kya hota hai..mere 10+2 m hindi subject hai. Abhi is exam ki koi information nahi hai. High School in Science. Exam Centre Lucknow padega. abhi date announce nahi huyi hai. May be April mein ho exam. sir, please tell me serial no 5 of post of legal measurement’s what will be the syllabus . because in notification he has written that serial no 5 skiped. Namaskar ji ishka exam kab take hoga pre? Namaskar ji ishka exam labor take hoga pre? Written aur Interview dono hain.